Pigeons are one of the most intelligent and adaptable birds on our planet. 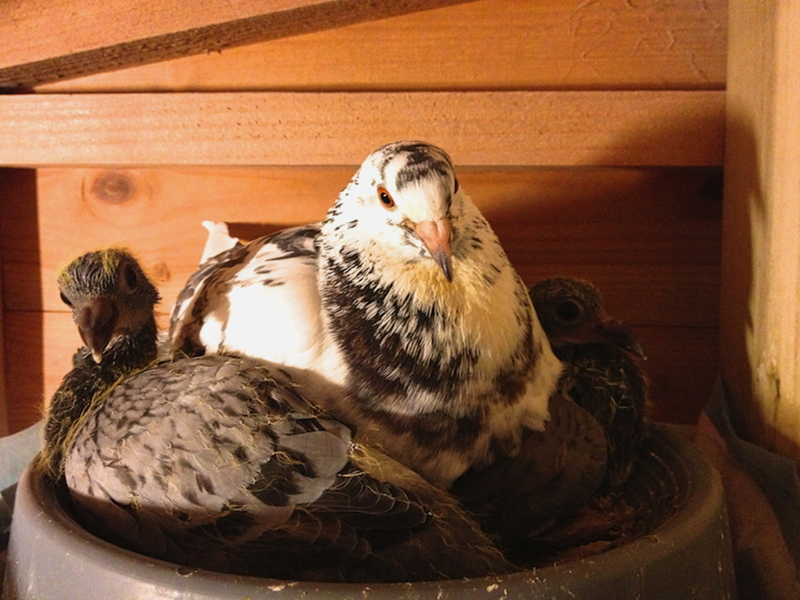 Feral pigeons are derived from domestic pigeons that have returned to the wild. It is thought that the domestic pigeon was originally bred from the wild rock dove, which naturally inhabits sea cliffs and mountains. Although this is a commonly held view, it is probably far more likely that the rock pigeon domesticated itself in order to exploit the wasteful humane society. However, thousands of racing pigeons and doves are intentionally released each year, many of them joining feral pigeon flocks and breeding with their cousins. Feral pigeons find the ledges of buildings to be a suitable substitute for sea cliffs and have become well adapted to urban life. Pigeons usually breed when the food supply is abundant, which in cities can be any time of the year. Laying of eggs can take place up to six times per year. Surprisingly, despite the high reproduction rate, feral pigeons often only have small populations within cities. Feral pigeons usually reach their highest densities in the central parts of cities and because of that they are frequently encountered by people creating a scenario, which often leads to conflict. 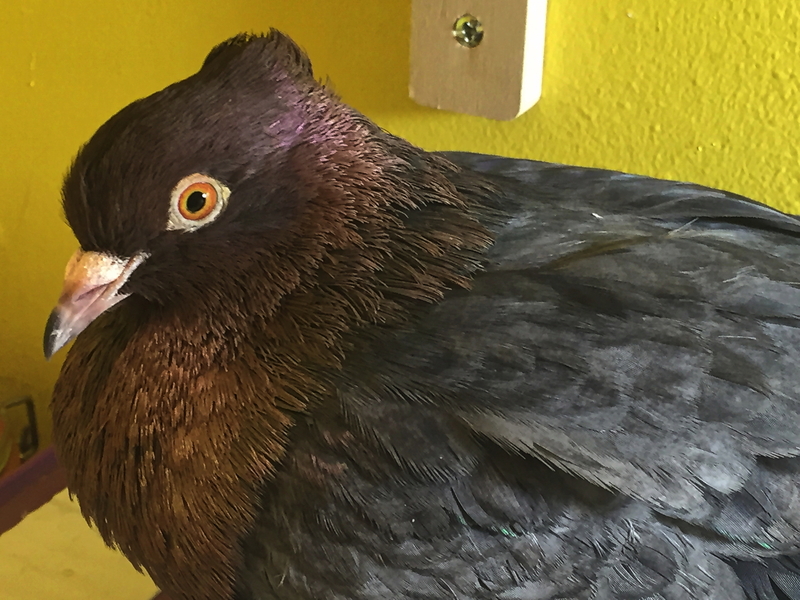 Feral pigeons are often considered a pest or vermin, owing to concerns that they spread disease including bird flu, despite scientific evidence that pigeons do not carry the deadly H5N1 strain. 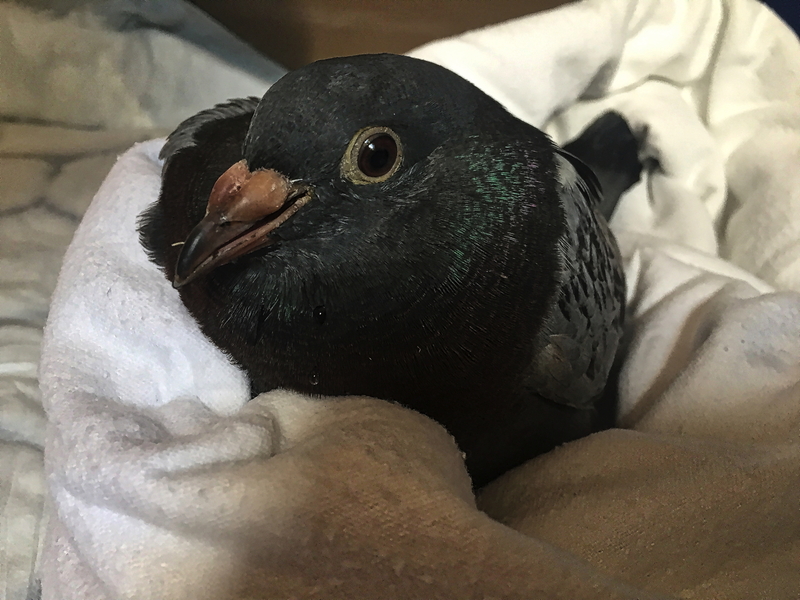 It is rather rare that a pigeon will transmit a disease to humans, but so do other animals including pets. Having said that, pigeons can pose a health hazard, in particular if birds die as a result of having been trapped and decomposing carcasses become maggot-infested, particularly during summer months. This often happens as the result of non-professionally installed or damaged netting, which is supposed to keep birds out, and not in. In that context, there are also legal implications in respect of netting and inadvertently trapping live birds, where property owners can be prosecuted for causing unnecessary suffering. The real enemies of pigeons, and the health of humans and other wildlife, are the profit orientated pest control industry, and to a certain extent the well meaning lay pigeon feeder, because without lethal controls and the deliberate persistent feeding of pigeon flocks, the pigeon would only exist in small numbers and nothing would be like the problem it is currently perceived to be. Lethal control methods are without exception inhumane, unethical and morally wrong as they inflict suffering to sentient beings, who are actually suffering already because of us. 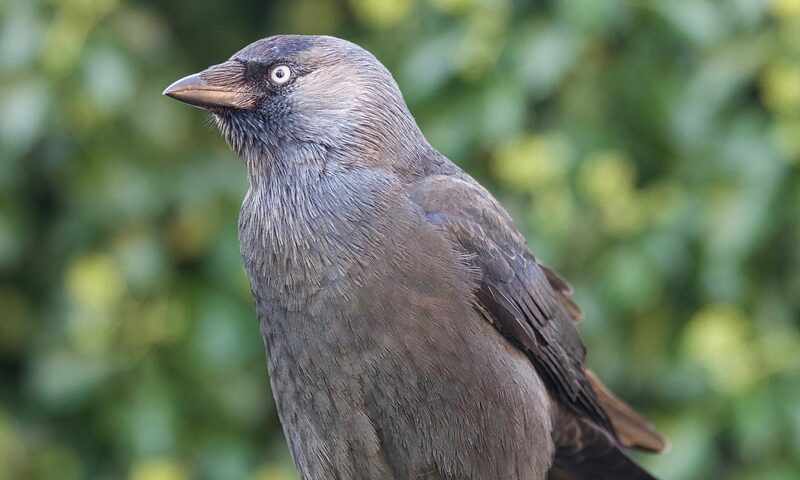 In fact, the pest control industry is largely responsible for the massive global rise in pigeon numbers due to excessive and commercially motivated use of lethal control methods. Killing adult pigeons in a feeding flock favours the younger birds, which would otherwise have a smaller chance of survival. The size of a pigeon flock is dictated by the amount of available food. The physical removal of birds from a flock will increase the food supply for the remainder of the flock and will also create a void, into which surviving members of the flock breed. A common method being used by pest controllers is poisoning. When pigeons are fed poisoned bait, surviving birds do not leave the area. On the contrary, they are left with more food per bird than before. This also attracts pigeons from outside areas as well as encourages breeding, and populations are increasing. An additional problem with poisoning is that it also kills natural pigeon predators, like peregrine falcons. Other inhumane and money wasting lethal methods being used are shooting, cage trapping and the abuse of birds of prey. Most pest controllers use harris hawks as the favoured control option. This bird of prey is not a natural predator of our feral pigeon and is much slower in flight and therefore this bird poses no threat to a healthy and experienced pigeon. The use of a bird of prey is neither ‘green’ nor ‘natural’. Using one species of bird to kill another, particularly when the hawk concerned is not the natural predator of the target species, is clearly not ‘natural’. In fact, this kind of pest control is nothing else than another bloodsport, where birds of prey are abused to kill other species of birds and animals for the pleasure of the human handler. The first simple and effective step to humanely control pigeon populations is to reduce uncontrolled feeding, which is aimed to reduce the reproduction rate and not intended to starve birds to death. Cities around the world have discovered that not feeding their local birds results in a steady population decrease in only a few years. Pigeons, however, will still pick at garbage bags containing discarded food or at leftovers carelessly dropped . The next step is to directly influence the reproduction cycle. 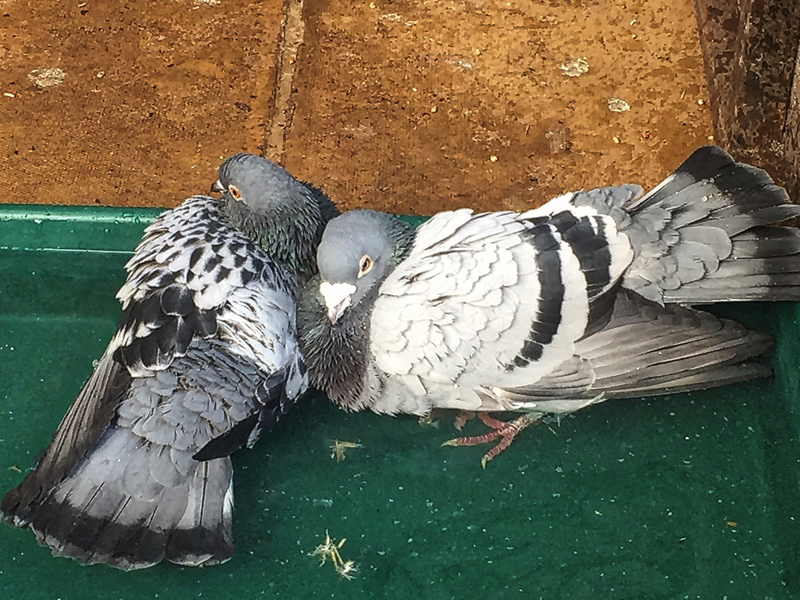 The use of dovecotes and designated feeding areas in public places combined with the use of pigeon lofts located on buildings has helped to concentrate and control pigeon numbers in a humane but effective manner. Eggs are replaced with dummy eggs in artificial pigeon houses to reduce the number of offspring. This also allows to keep an eye on the health of the local pigeon population. Another promising method is the use of nicarbazin, which is a compound for avian contraception. Originally developed for use in resident Canada geese, nicarbazin has been introduced as a contraceptive for feral pigeons. This contraceptive is both, non-hormonal and fully reversible. Declared safe and humane, the new technology is environmentally benign and does not represent a toxicity hazard to raptors or scavengers. All in all, an ethical holistic approach is needed and already readily available to influence pigeon numbers humanely, which has a positive effect onto the health of our feral population and is also reducing cruelty and suffering of one of the most lovable bird species on our planet.